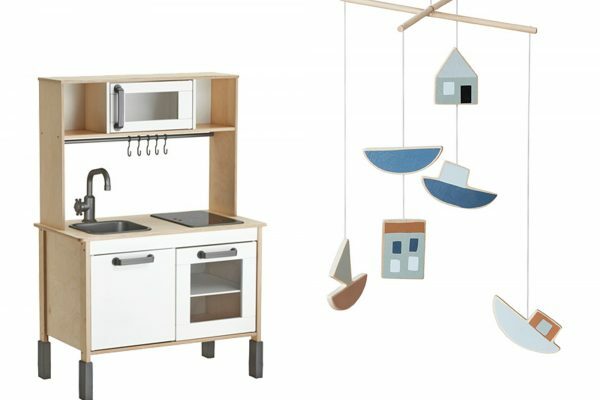 Wolf modules allow you to turn the smallest countertop into a cooking area. The new Wolf 15-inch Teppanyaki Module is adept at low-fat, Japanese style cooking. You can cook meat and vegetables quickly on high heat, using just a drizzle of oil and light seasoning. Utilizing induction, it also heats up quickly and offers very precise control. The two-zone heating allows you to sear a steak on high heat in one zone while warming vegetables or rice on low heat in the other zone. Wolf introduced its 36-inch Induction Range at the 2016 Architectural Digest Design Show in New York City. Perhaps the only type of cooking that could lure you away from gas, induction is a technology of startling precision and power. Wolf pairs a powerful induction cooktop with its celebrated dual convection oven, which delivers the most even heating you’ll find, plus 10 automatic cooking modes to master any dish. 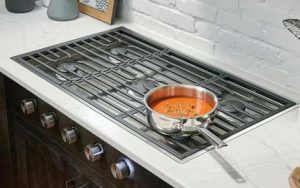 A stunner in both performance and design, the Wolf 36-inch Contemporary Gas Cooktop has a striking, integrated look, with a cooking surface that sits flush to the countertop, and control knobs that mount to the cabinet panel of your choice. With the most powerful Wolf dual-stacked burner ever—20,000 BTU—this powerful central burner delivers faster boils and restaurant-quality sears.